When the Talmud addresses the question in the tractate of Shabbat “What is Hanukkah?” (Babylonian Talmud Shabbat 21b) we get a very partial answer which ignores the whole history. The answer focuses on only one aspect, the reestablishing of the temple. The story of the little source of oil is considered fiction invented later on, which gives us even more insight to some of the dilemmas later Jewish sources had about this matter. To understand the full history of Hanukkah one only needs to read the book of Maccabees and get a full description of the internal and external politics of 2nd century Judea. This was a struggle between Syrian soldiers who felt entitled in Jerusalem, thinking that it is no different than any other hellenised city, and Jews who lived in their homeland for centuries who objected to the attempt to change God’s people. This was a war over identity which also ended up to be a war of independence. Freedom became the centre of Hanukkah, and the is why it was seen as a national celebration which was not in any way part of Torah keeping. It was a time to give thanks to God for the redemption from Syrian-Greek forces, and a return to a Torah based government. After the war settled, around the year 140BCE, the people gathered together to crown Simon the Hasmonean to be king. Simon did not want to rule without the consent of the people, and requested this great gathering to give him a mandate to rule (1Mac 14:27-45). The mandate given to Simon was Torah based, and his family had received the agreement of the people to govern them. However, this charter was limited till a prophet would come and and re-establish the kingdom. What happened with the family in later generations was completely wrong and against the original agreement. The Hasmoneans became priest-kings and the later kings not only forced themselves on the people, but also became a political power which sought to control using violence. The internal wars between the different members of family, and the fact that Judah brought the Romans to Judea as part of an agreement during the rebellion (1Mac 8:23-32), puts the whole story and achievements of the Hanukkah into question. At the end of it, even though Israel had (a short lived) freedom, the family itself brought misery and destruction, and opened the door for the destruction of Jerusalem and the deepening of internal war between brothers. Factions deepened, and Torah keepers had to flee for their lives when the Hasmoneans didn’t agree with them (DSS 1QpHab). This, in my opinion, is something very difficult to celebrate, and this is probably why the Talmud ignores to some degree the historical side of things and focuses on the positive. It has been an argument for many years whether the Talmud ignores the Hasmoneans. However, it seems clear that they preferred to reduce the attention due to the issues which were well known to them. This is especially evident from the attitude the Talmud has to the later king Alexander Jannaeus who is described as a supporter of the Sadducees who were the enemies of the Pharisees (Babylonian Talmud Kidushin 66a). Historically speaking, Jannaeus was an extremely violent king, and hard his own people who were tired of his wars and conquests. At the end he murdered many Jews, and this people were becoming less and less supportive of the family (Josephus, Antiquities of the Jews 13:380-381). However, the return to Torah, and the existence of a celebration which was several hundred years old compelled Jewish tradition to keep the celebration even though the historical side was negative and non-existent after the Romans took over. To me it seems that the point of keeping Hanukkah by Talmudic standard is more custom and mostly the celebration of Torah reestablishment. This subject is probably the most difficult one to deal with, and I myself even as a child never understood how we can add things since we are clearly forbidden to do so in Deuteronomy 4:2. This question has bothered even Rabbinic sources, and different answers were given such as it is forbidden to take away details, but adding a whole idea is allowed. This basic idea gave the elders full authority on everything and allowed them to interpret things even if the text does not support the idea. This in turn meant that one is not allowed to turn to the left or the right from the elders’ teachings no matter what. At this stage it is important to note that we do find customs in ancient Israel, and research done on life in ancient Israel show that there were many things which do not appear in the Torah which were kept. One example can be found with virgins wearing striped clothing (as in the case of Tamar 2Sam 13:18), and the taking off of a shoe when an agreement is made (Ruth 4:7). However, when we come to a system which creates very specific laws and regulations on how to light a candle, one has to stop and ask how on earth can this not be adding to the Torah in a gross way? The attitude towards these rules is that they are equal to laws of actual Torah commandments, which is really why some people object to the ritual–especially the blessing of being commanded by God to light the candles. This in truth is the main objection I hear from non-Rabbinic Torah keeping people, and it is very understandable. Everyone wanted to be in charge, and it seems to me that putting in blessings was not just a chance issue developed later on due to a custom becoming law. To me it seems there is an ideology here of making sure that Hanukkah is kept with a very clear statement that the Rabbinic authority is absolute, and that no one can undermine it. This is why, in my personal opinion, Rabbinic sources made such a big issue out of keeping Hanukkah. In the midst of a war over authority, and the survival of Judaism after the destruction, Rabbis had to take a very bold stand to insure the survival of Torah. Even if one disagrees with what was done, the action itself created order which allowed Jews to unite over more or less one system. This is not perfect, and is far away from ideal, but under such circumstances what choice does one have? This was life and death of Judaism, and even though political struggle existed even inside the system, the common cause was survival. When objecting to Hanukkah and Jewish customs, it is fundamentally important to put one’s modern understanding of things aside, and try and step into the world of the people who were around when things happened. As a trained historian this is History 101 where you are taught to think like an historian. We are not trained just to know facts, but to also understand the process and different sides of events. I agree that today in our times where we have more freedom, we can and should ask questions about how we should keep Torah without violating it. But for them this was survival, and we cannot judge them till we are in their position. Judaism had to create a system which governed everyone under one rule, and customs such as Hanukkah (yes it started as a custom) became part of identity, which was important. When you live in freedom and have everything you need it is easy to dismiss things. However, when you are culturally in trouble, and there is a war against you and your culture, people tend to become protective of some of the most trivial things. This is why Hanukkah was kept, and this is why the different rules were created because it was a preservation of identity and a focus on the positive of what happened. To answer the question of should one keep Hanukkah, my response would be “what do you identify with?”. This is, in essence, what one should take into consideration. If one identifies with Judaism and identifies with Jewish customs, then one should keep at least lighting the candles without saying a blessing. However, if one does not identify with Judaism as it developed, then there is no point in keeping any of it. This is an identity and affiliation question, and is less about Torah law. Keeping Hanukkah is no different than asking the question of keeping independence day. If one is a supporter of the state of Israel, then one can and should celebrate this day. However, if one objects to the state of Israel, then there is no point in keeping such a day. Hanukkah, in rabbinic eyes, is about celebrating the establishment of Torah keeping, and this was the focus rabbis in the Talmud were going for. They knew the problems with the Hasmoneans, but in a time of darkness and destruction, clinging to the light of a reestablished Torah based rule was a way to keep the light of hope burning. 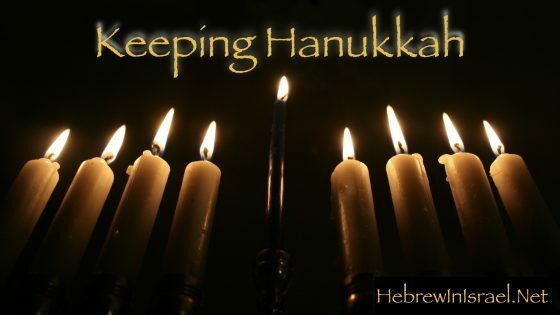 I believe we must celebrate Hanukkah, because regardless of what happened later, God gave a great victory to His people and this is certainly something to be celebrated! I don’t light candles, because I believe the micracle of the oil never happened, but I celebrate with good food and thanking God for His great deeds.